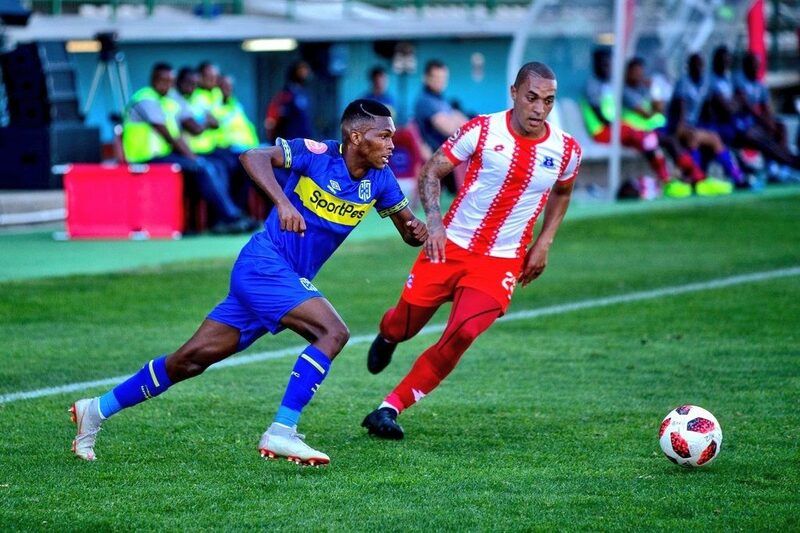 Cape Town City returned to winning ways after their thrilling 3-2 victory over Maritzburg United at Athlone Stadium on Saturday, writes DYLAN APPOLIS. The Team of Choice claimed their first home win of the season when they secured a 3-1 victory over Polokwane City two weeks ago, although they remain rooted at the foot of the table. Meanwhile, the Citizens came into this encounter off the back off a 1-0 defeat to AmaZulu in their last league game two weeks ago. As a result, City found themselves in fifth place on the table. City got of to a great start and broke the deadlock seven minutes into the game when Thamsanqa Mkhize after heading home a Gift Links corner. At the other end, Maritzburg were dealt a major blow in the 25th minute when Brian Onyango was forced off the field through injury and was subsequently replaced by Nazeer Alli. The Citizens dominated proceedings for most of the first half with Teko Modise playing a commanding role in the middle of the part. The Team of Choice came out the better side in the second half and found the equaliser on the hour mark when Mxolisi Kunene fired his effort into the net. However, City restored their lead after 73 minutes when Links fired his effort past Richard Ofori. Riyaad Norodien then extended his sides lead even further with eight minutes remaining when his strike deflected off of Ofori before finding the back of the net. Maritzburg did managed to pull a goal back through Fortune Makaringe, but it proved to be a consolation goal as the Citizens held on to their lead to clinch a vital win at Athlone Stadium.